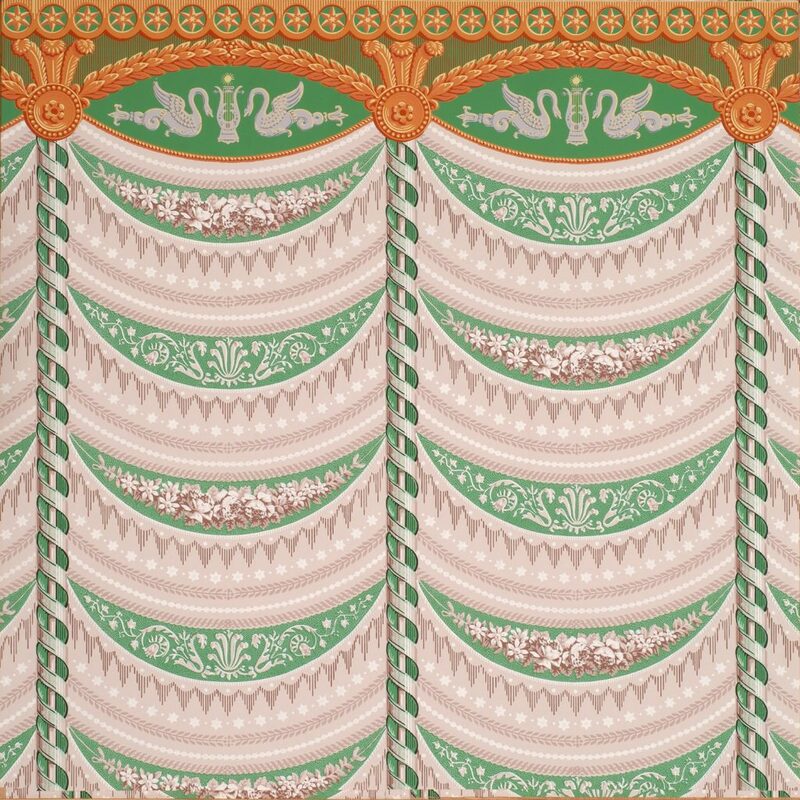 This stylized drapery pattern and its coordinating Swan Frieze (a separate border) were designed by the internationally known architect Josef Ramée, in Philadelphia. 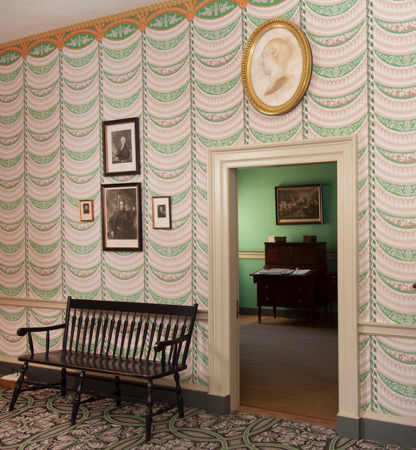 Ramée, who had previous wallpaper manufacturing experience while in Belgium, entered into partnership with Henry Virchaux, a French émigré printer working in Philadelphia. This paper was one of many they submitted for patent protection between 1814 and 1816. Imperial Measurements: Repeat 17 ⅜ inches, width 20 ¾ inches, length 11 yards, either straight match or half drop. Metric Measurements: 43.8 cm, 52.1 cm, 10 m.